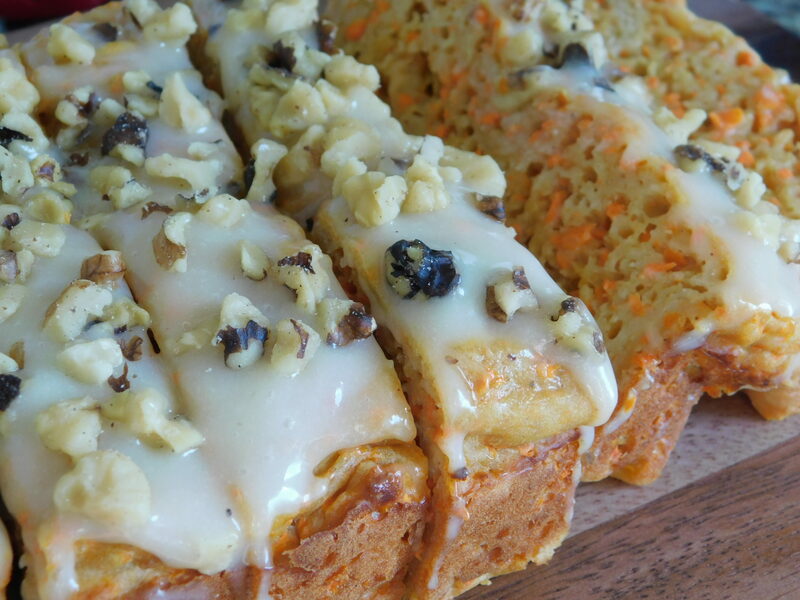 Carrot loaf with cream cheese icing - Drizzle Me Skinny!Drizzle Me Skinny! 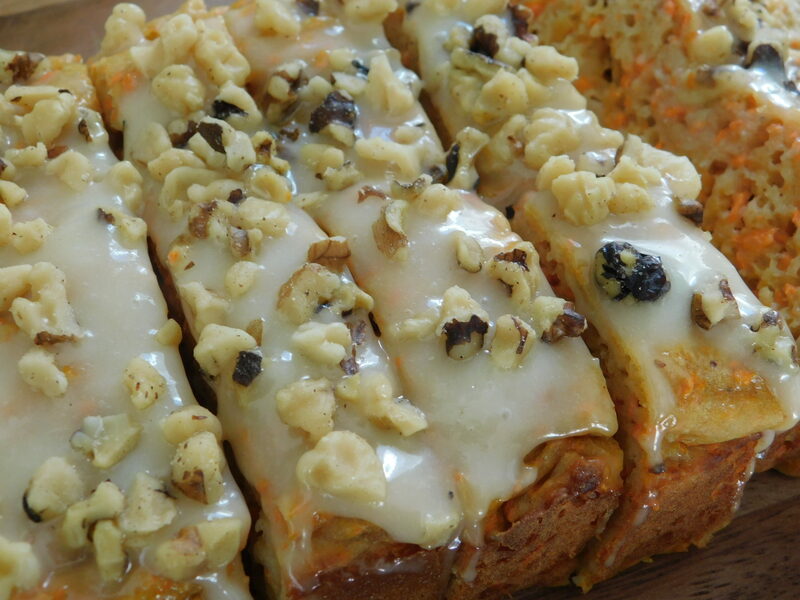 I love a good slice of carrot loaf, especially with cream cheese icing and walnuts, yum! 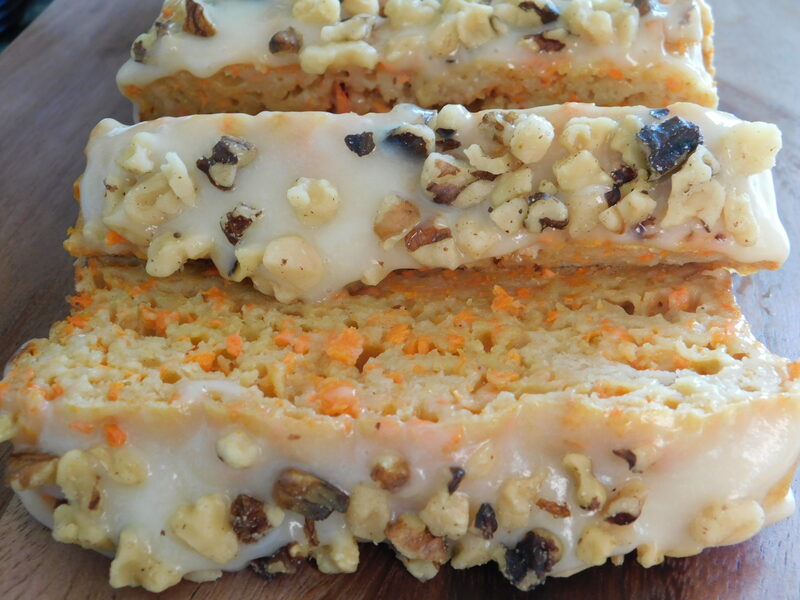 I enjoy challenging myself to create my favorite baked goods into Weight Watcher® friendly treats and this carrot loaf is so good! It is a dense loaf, remember when baking with applesauce, yogurt and even mashed banana you are not going to have a fluffy loaf or muffin that you would when using butter and oils, it did take me a little time to get used to the texture of baked goods when changing up the ingredients and I know it might not be for everyone, but I’ve come to love it and I’m able to keep my recipes very point friendly. You can make this loaf with or without the icing, but for only 4 smart points I say go for it and include the icing and the walnuts.. only 3 SP if you leave the nuts off. Preheat oven to 375F, spray a regular sized loaf pan. 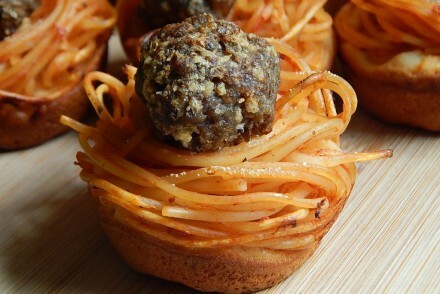 Mix in your flour, baking powder, soda and spices. 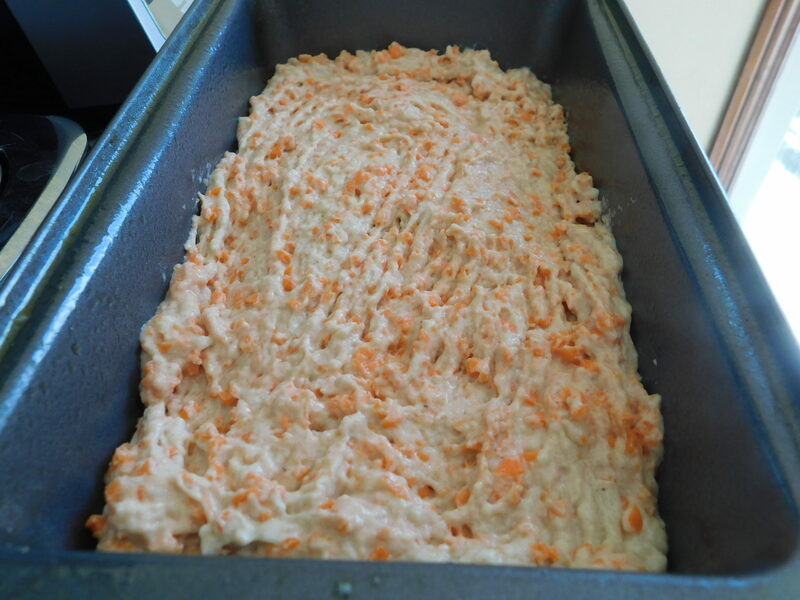 Pour batter into loaf pan and bake in the oven for 45-50 minutes, until baked all through. To make icing mix your cream cheese, icing sugar, butter and vanilla together until creamy, you can do this while loaf is baking and then store in fridge till ready to ice loaf. Spread icing on then sprinkle with walnuts, makes 10 slices. 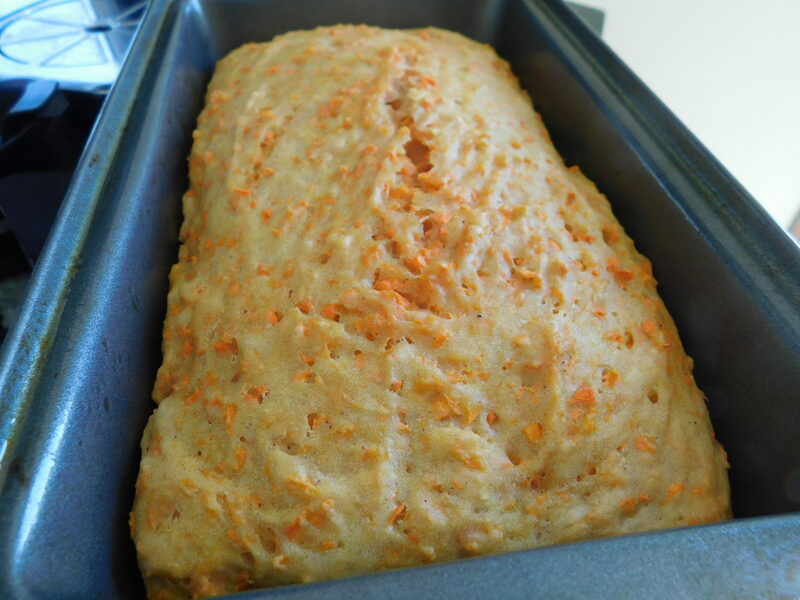 *Icing and walnuts are optional, loaf with no icing or nuts is 2SP per serving, just icing is 3SP and icing and nuts is 4SP, also note this is a dense carrot loaf due to ingredients used, it might sink slightly once it has cooled down. Store in fridge, loaf will freeze well. This looks great! What a nice treat. Thanks for options on icing and/or nuts, and for the tip on freezing. I’ll make this soon and share my thoughts! I made this as muffins! Carrot cake with cream cheese icing is one of my favourite things in the world and this recipe totally hit the spot. I made it into 10 muffins….iced it with the icing and then froze them for when the craving strikes. Baked them for about 24 minutes. Perfection! Thanks so much! Hi Amy, thanks for the tip 🙂 so glad you enjoyed them! 4 sp for how big a piece? Well I’ve made the Egg Cups last night. Had two for breakfast… AMAZING! 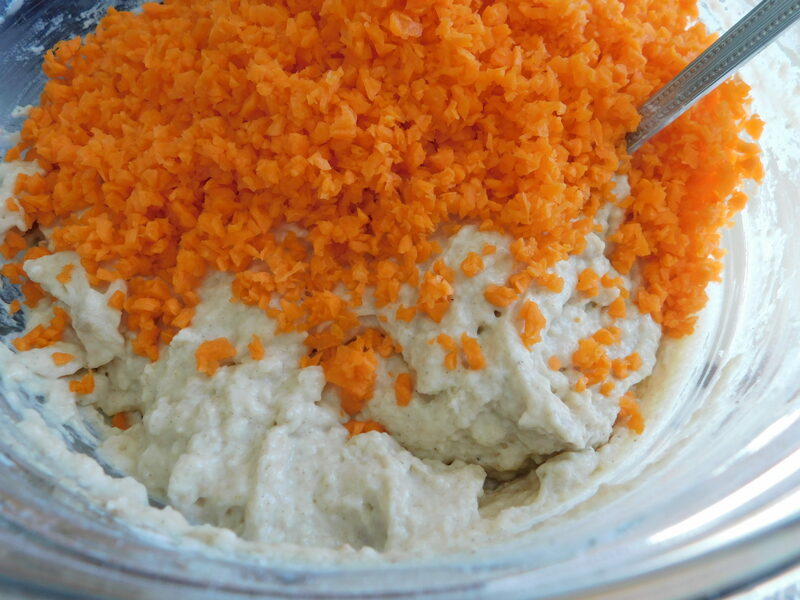 I just finished making the Carrot Cake, which my favourite cake. My home smells delicious!! 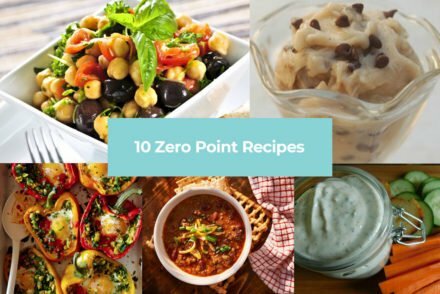 Thanks for doing up these recipes. I really miss my desserts. I made the carrot cake loaf and the loaf itself had no flavor at all, I was so disappointed. The only tasty part was the frosting. I’m going to try it one more time and add stevia to the batter. 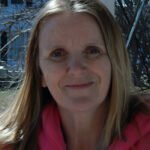 I used unsweetened applesauce, was I supposed to use regular applesauce? 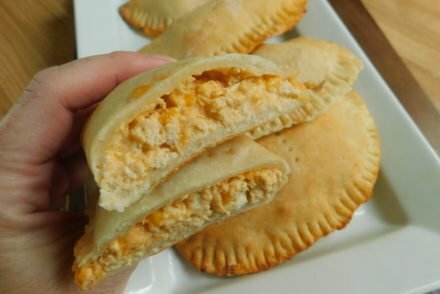 This is your first recipe that I wasn’t happy with so I definitely want to give it another try. Excellent recipe. Love the fact that I can make this and enjoy it for 4 points!! I had the idea to add chopped pineapple and then completely forgot bc I was so focused on following the recipe. I think it would have made it even better! This loaf is amazing! 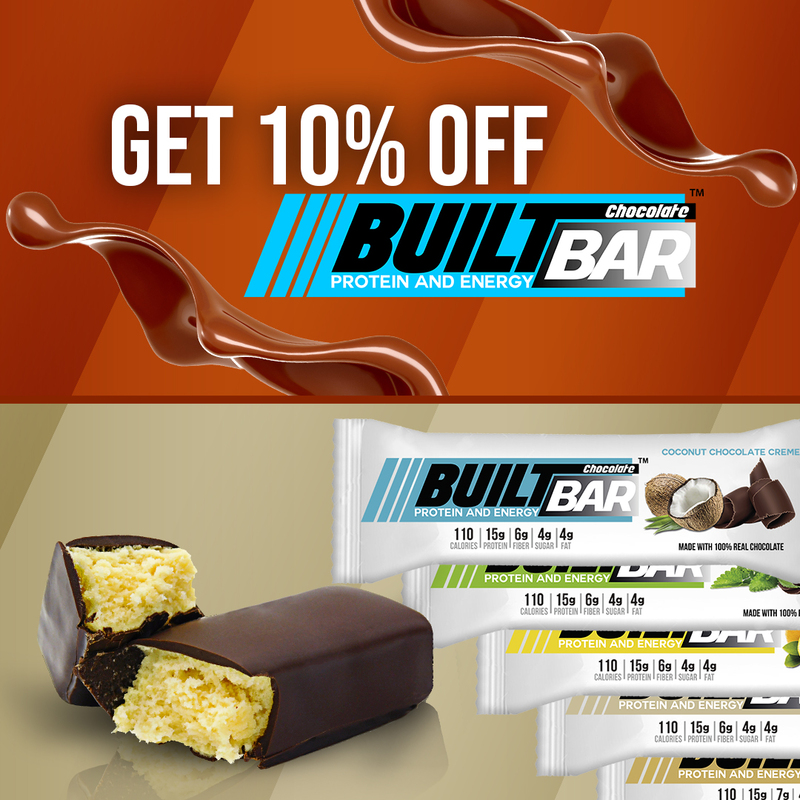 Didn’t know how it would taste without the oil and the sugar,but you hit a home run with one! Yum! It made a big loaf too so 10 pieces were a good size. Could I make this as a cake instead do you think? Hi Maureen, you’d need to replace it with something to make up for the loss, what about apple sauce? Will have to try this recipe. Your carrot cake donuts were a hit with my WW group.